A New South Wales institution since 1979, the Southbridge Board Riders celebrate all things surfing in Australia. 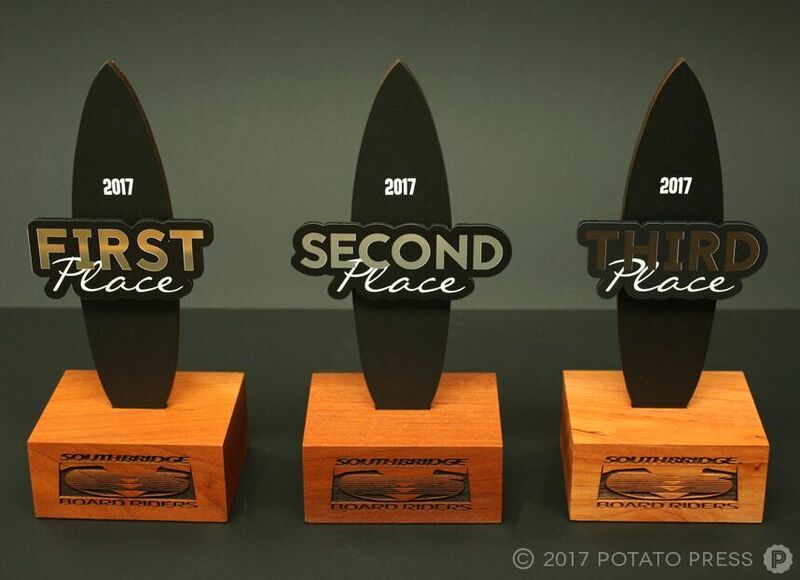 In need of a customised award for the first, second and third place winners of the 2017 surfing competition awards, as well as the top Male Representative Surfer, we were tasked with creating a compelling award design for the ceremony and various winners. With a base design made of rich red cedar, we used UV printed blackbutt veneer and laser cutting to create a wooden surfboard design and attractive copy design with the Southbridge Board Riders logo, name and/or placement levels, and year. 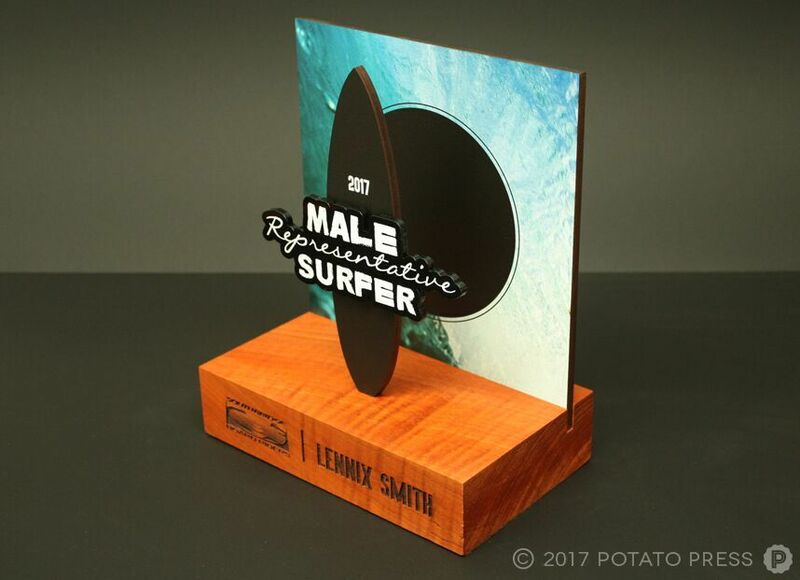 The Male Representative Surfer award winner, Lennix Smith, also had his name and surf photo attached to his custom award for added design elements. 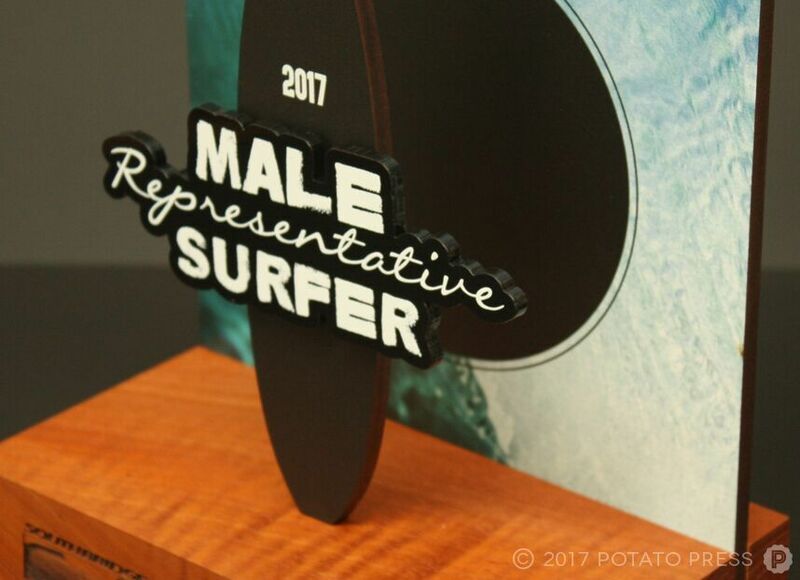 We love working alongside local companies for all their custom award needs, and look forward to recognising more of our top surfing athletes in the near future. Interested in having a custom award designed for your next ceremony? Give us a shout via phone, email or Skype and we’d be happy to chat.